Phoenix, AZ – July 20, 2018 - ABI Multifamily, the Western US’s leading multifamily brokerage and advisory services firm, is pleased to announce the $870,000 / $20,232 Per Space sale of Punkin Center RV Corral located in Tonto Basin, Arizona. Punkin Center RV Corral is a mixed-use Park that features 43 total spaces and 5,000 square feet of commercial space. The property offers 22 manufactured houses and 21 RV spaces and rests on approximately 9.22-acres. 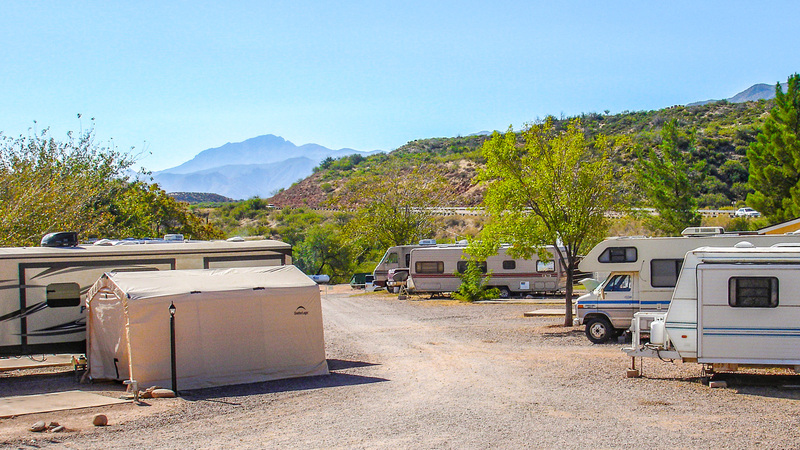 "Punkin Center RV Corral is located in the Roosevelt Lake recreation area that creates a big draw to residents and visitors alike. Several draws to the area are annual fishing tournaments, recreational skiing, water sports, boating, as well as, hunting, hiking, jeeping, ATV riding and exploring the Tonto National Monument. These activities, along with cooler temperatures and great local community involvement, all support the consistent operations of the park", states Brad Pickering, Senior Vice President at ABI, who represented the seller in the transaction. The seller is an experienced owner / operator located in AZ. The buyer is a private investor based in AZ. ABI Multifamily is a brokerage and advisory services firm equipped with extensive experience in all aspects of multifamily housing including apartments, affordable housing, mobile home/RV parks and land transactions. ABI Multifamily offers advisory tools you’ll find beneficial for your next transaction. We welcome the opportunity to work with you. With offices in Phoenix, Tucson, Sacramento and San Diego, the experienced advisors at ABI Multifamily have completed billions of dollars in sales and thousands of individual transactions. ABI Multifamily incorporates a global approach with regional real estate expertise to successfully complete any transaction, regardless of size and complexity.